With the equinox now passed and spring firmly under way here in the UK it’s time to look forward to the warmth of the summer. How better than to celebrate it with the charity Shakespeare in Italy’s wonderful annual Summer School? This is the fifth year that these summer schools have been organised by British actors Julian Curry and Mary Chater. 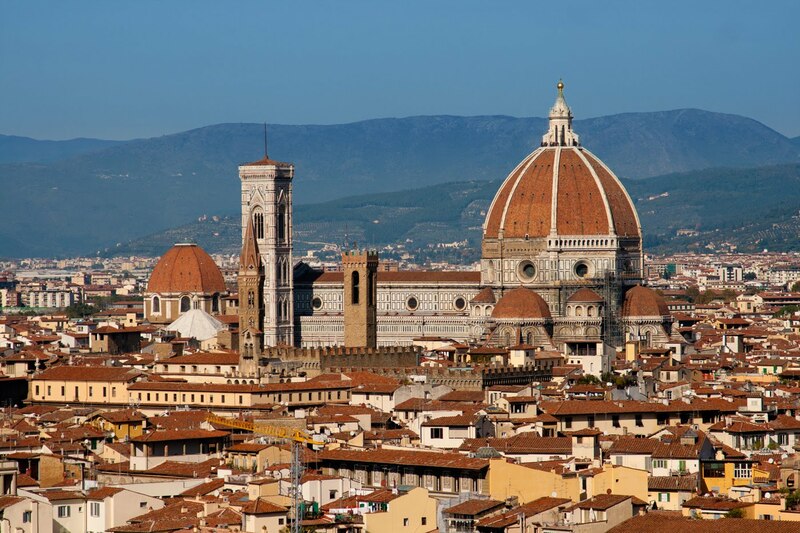 In 2019 the venue will be the British Institute in the beautiful and historic city of Florence, from 6-19 July, and they have as usual secured a wonderful line-up of actors and directors to tutor the participants. This year they will be joined by RSC and Shakespeare’s Globe directors Lucy Bailey and Chris Luscombe, on Julius Caesar and Romeo and Juliet respectively, and actor/director Philip Franks on The Two Gentlemen of Verona. 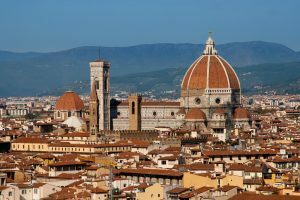 There’s general information on the Shakespeare in Italy website, and specific information about the Summer School in the Education section. There’s also a very active Facebook page if you want really current information. Attending the summer school is a really effective way of immersing yourself in Shakespeare and in the culture of this country with which he seems to have been obsessed. And even if you can’t make it yourself their website is worth taking a look at as they run many other events during the year. For centuries people have speculated that Shakespeare might have visited Italy but there’s no evidence that he did. He was not alone in setting his plays in Italy, and many of his contemporaries wrote about or illustrated this fascinating country, not only those from Britain but from elsewhere in Europe. I’ve recently been taking a look at the British Library’s website and have been intrigued to find not just books on Italian subjects like John Florio’s language manual but a couple of Friendship Albums or Album Amicora which were created by the German Moyses Walens from Cologne and Austrian student Gervasius Fabricius from Salzburg. Both date from the early 1600s. 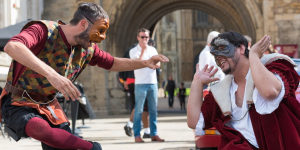 They feature on informative pages by Andrew Dickson on Shakespeare’s Italian Jouneys and John Mullan on Shakespeare and Italy. Glorious colour images are reproduced from these books, and include Italian scenes such as a gondola cruising past St Mark’s Square in Venice as well as many others with mythological, biblical and social subjects. One shows a performance taking place in a wealthy house by a small troupe of actors, the sort of scene that Shakespeare probably took part in himself, and that he wrote about in Hamlet and The Taming of the Shrew. These books remind us how broad a range of sources were shared by people all over Renaissance Europe, and how relatively easy it would have been for Shakespeare to access information about Italy even from these distant shores. This entry was posted in Shakespeare's World and tagged Album Amicorum, Andrew Dickson, Austria, British Library, Florence, Germany, Italy, John Mullan, Julian Curry, Mary Chater, Shakespeare in Italy. Bookmark the permalink.